Provide relevant facilities such as raw materials add to their saving capital to start up and enlarge the activities of the village women associations in order to impart appropriate techniques, knowledge and capital in initiatives aimed at increasing the quantity and quality of farmers’ products and giving them access to a real visible sustainable run and proper income through the sale of their products in the markets whilst these members are facing with resource shortage to continue their products making seasonally. Diversifying income generation for village women association and its members and help minimizing the hunger gap period of rural women in the target areas in Cambodia, so that members can understand clearly how much they expend and how much they get income and benefit from their activities. Strengthening the livelihoods of vulnerable household women is also our objectives in order to avoid discrimination to women and giving balance at all aspects between women and men in the society and promote solidarity and equality amongst the poor, medium and the riches in communities. Increase agricultural and non agricultural output and income generation through savings, use of a revolving fund, handicraft practices (scarf, mat, silk, bamboo, and broom products) made by women groups; initiatives toward cooperative market expected to establish in 2011, leadership and financial management involved along with especially the support and sustaining to the women empowerment in agro-enterprises, small handicraft activities in the villages, and help reducing a migration of rural people, especially young men and young women in the future. Women have opportunity to discuss their concerns and exchange of ideas, experiences, so that they can reflect benefits of working in group within their villages to serve the interests of their groups by various actions. The Cambodian Farmers Association Federation of Agricultural Producers will implement as schedule outlined. The Cambodian Farmers Association Federation of Agricultural Producers will implement the activities as outlined in indictors and logical framework. The 24 selected VWAs plus 6 new VWAs/CBOs will receive and gain knowledge in savings, use of a revolving fund, financial management, cooperative manners, getting income via their working groups in the villages, got awareness in leadership skills with democracy by election of leaders etc to run their VWAs long time with sustainability. 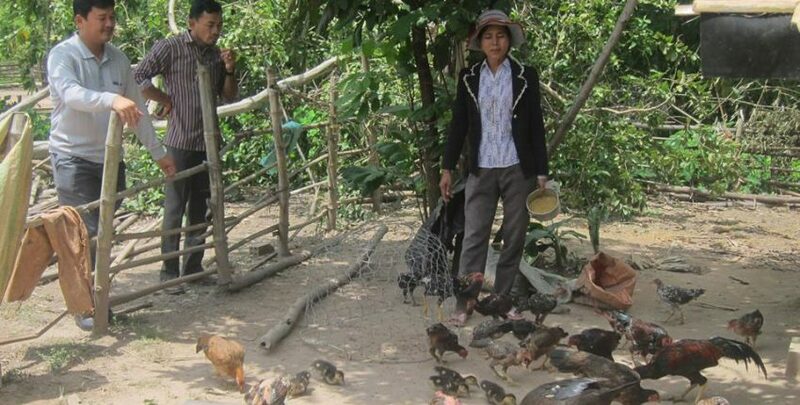 Intervened capital from the MELANIA with join in addition actively with the saved capital of members to achieve their purposes of income generation in their VWAs in each target areas of CFAP Cambodia. The participants will understand real ways of working as farmer organizations-base and in cooperatives manner better than before. Encourage these VWAs’ leaders to become committee members of CFAs/CBOs, so that they can get access to stand for boards of CFAP in the future. The Cambodian Farmers Association Federation of Agricultural Producers will receive the feedback from those VWAs in order to adjust or prepare for the next activities which response to their real needs accordingly base on report of CFAP Cambodia specialized field staff members as assigned to be responsible for facilitation between VWAs and donor agencies. M&E: CFAP-Cambodia has developed a log-frame with measurable indicators, including quantitative as well as qualitative indicators.